When you reboot an entire universe, you need your writers to be on their A-game. One bend in the body of work and you'll sink like a learner swimmer to the bottom of the pool. 2011's best writer wasn't even a part of the new 52 over at DC, but rather between Marvel and Vertigo competed with a line of his own. Better yet, each and every issue contained therein floated like a butterfly on a monthly basis, and yes, stung like a bee. His name; Jason Aaron. 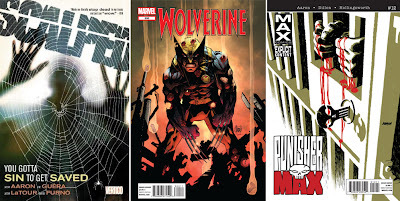 Be it Vertigo's Scalped or Marvel's PunisherMAX, Wolverine and The X-Men, Wolverine or The Incredible Hulk, the best thing about Jason Arron's writing is that he's one of those writers who take you back to the days where an issue wasn't a three second read and you got plenty of action and cerebral chewing gum to munch on in the process. Through an unmatched knack for 'realistic' and individual dialogue/ monologue, Arron in Wolverine and The X-Men took a The Jean Grey School For Higher Learning (a place literally crammed with mutants old and new) and had each mutie established with their own unique voice within seconds of them being on stage. 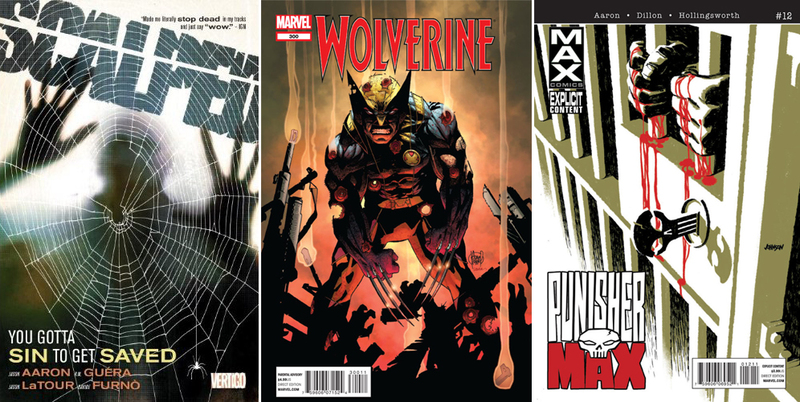 With his run on Wolverine, plus books Punisher MAX and Scalped all coming to an end (the latter two at his request) Aaron's dance card might be looking a little slim in 2012, but don't be fooled. 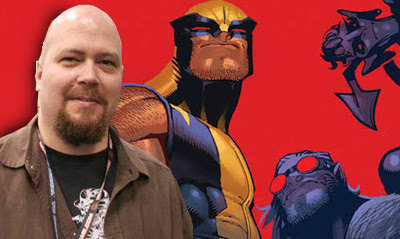 Aaron is one of the super-scripters at work on Avengers vs The X-Men and no doubt Marvel will have a few spin-off's for him to breathe new life into before the year is done, just as he has with Frank Castle and the Jade Giant. 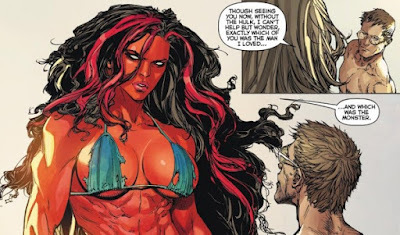 oh my God that panel with the Red She-Hulk is insanely hot. that must have been done from a photo reference of some kind! i've been on a real art kick lately. thanks for checking my stuff out i knew as a fellow photoshop user you'd be able to appreciate what i did. speaking of awesome art i found some Eddie Nunez stuff of some of our favorite Suicide Squad members look out for that posting when your liver has detoxed your blood sufficiently i'll be posting that on the 1st. and that's right around the corner for you ain't it mate cause it's new year's eve for you later today yeah? have a good time Dan just act responsibly. Thanks mr! Yip, we sure did the whole NYE thing a little before you folks stateside and yip responsibility is the name of the game. hopefully you saw the year in with a bang and look forward to hearin from you in 2012!